The A-5 set the standard for scenario markers with its ability to shoot 15pbs, combined with a wide selection of mods and a starting price of only $179. Already have an A-5, need upgrades? We have them also. 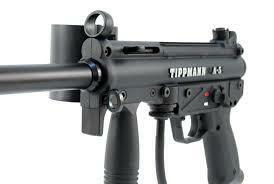 The Tippmann A-5 is the most popular scenario marker ever produced!